Jon Mayfield himself revealed during the last hours of the World Bicycle Relief Zwiftathon that more than 20,000 miles (or 32,000 km) were from Apple TV Zwifters. I guess this probably means at least 500 or more Apple TV users during that 24 hours–impressive! The last update was version 1.0.22144 on December 1. It fixed some bugs such as the display problem with Apple TV 4K on older 720p TV sets, but some bugs are still alive. It also seems clear from the number of posts in Zwift Riders and Zwift iOS and tvOS Users that Zwift for Apple TV has many users and that the number is increasing. 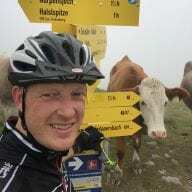 Many but not all posts are from happy Zwifters. We have seen more frequent mentions of problems with pairing devices, maintaining connectivity with devices, crashes, and rides not being uploaded. For sure this is because of more users, and most users probably do not experience problems. If you do it can be very hard to find out what causes the problem because you cannot access log files and such from your Apple TV. My advice is to contact Zwift support directly using the ‘Submit a ticket’ button or the chat function on https://support.zwift.com to try to resolve the issue. For some problems there are workarounds. Read on for more tips and tricks. I cannot select my TrainingPeaks custom workout! 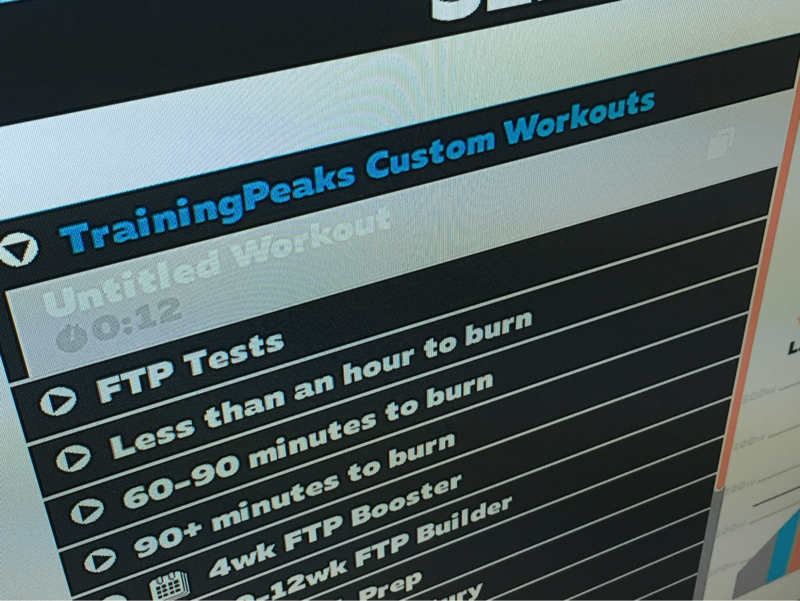 If you have linked your TrainingPeaks account to Zwift your planned workouts for the day are uploaded automatically to Zwift into the TrainingPeaks Custom Workouts folder. The issue is that if only one workout is uploaded for that day you probably cannot select the workout. It remains greyed out and cannot be selected. There is trick you can use. It seems that pairing multiple devices using Zwift Companion give some Zwifters problems. The way you can use Zwift Companion as an intermediary to connect multiple Bluetooth devices to the Apple TV (which also has Bluetooth channels for itself) is quite ingenious. 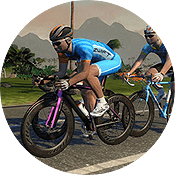 However, if the connection drops between Zwift Companion and Zwift it may also cause an annoying drop in power, heart rate, and cadence if the loss of connection is more than just a brief occurrence. This is extremely hard if not impossible to troubleshoot on your own– hopefully something we will get improvements for this in later versions. Until then: Try to simplify you setup as much as possible, but you may have to get assistance from Zwift Support to troubleshoot it. Making sure that Zwift Support knows about your problem is also your best hope of getting the developers at Zwift to improve the software. You’ll have to start the music in iTunes (or any other music app for Apple TV) before you start Zwift. Hit menu a couple of times to get back to the home screen (music is playing), start Zwift, pair up devices and ride while listening to your own choice in soundtrack. With the Apple TV remote: Music can be paused with the Play/Pause button but cannot be started again. Track skip does not work. With a universal remote like a Harmony: Track skip works but you cannot pause the music. With the Apple TV remote app for iOS: Track skip, Fast Forward, and Rewind is possible. With the Apple Remote App for iOS (not to be confused with the ATV Remote app): From the Now Playing screen you can Play, Pause, Fast Forward, and Rewind, and track skip. You even get album art. The only catch is that you have to have Home Sharing enabled on the Apple TV to use this app. Another possibility is to start iTunes (or Spotify or whatever) on your iPhone then AirPlay it to Apple TV. You then will have both music and game sound while you can control the playlist directly from your phone. 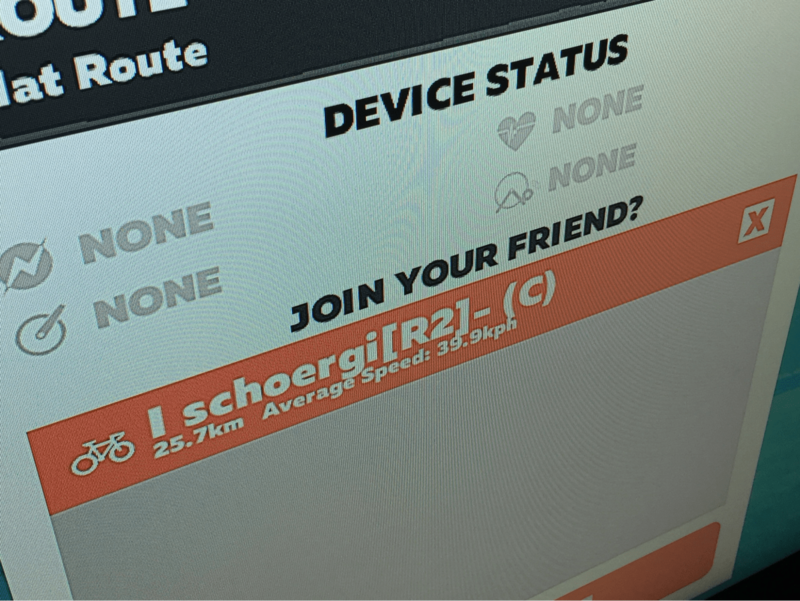 There is still several reports of Zwift showing one world and Zwift Companion another, especially around the time when the world changes. This is a know issue related to old data not being cleared, but force closing the Mobile Link app should solve the issue. If this does not fix the problem, force close the Apple TV app as well: Double click the home button on the Apple TV remote and close the app like by swiping up on the remote. It is still a minor annoyance that the first friend in the ‘Join’ panel is checked even if you do not click on him/her. It happens when you move up to pick a workout/route or move back down, so just be aware that you do not suddenly get to ride with some when you planned on something else. There has been a few reports about user and password not being remembered (correctly) on tvOS as well as iOS but it does not seem to be a widespread problem. There does not seem to be a work-around for this so contact Zwift Support if you cannot get the username and password to ‘stick’. We are looking forward to what happens next with Zwift for Apple TV and will be back with updates, tips, and tricks. The Siri button on the controller has the same impact as the paring screen on Windows and Mac.